We have the largest stock of artificial grass in the country – ready for immediate dispatch. We guarantee we have the artificial grass for you – in stock, ready for immediate dispatch. Prices from £9.99 +VAT per sqm. 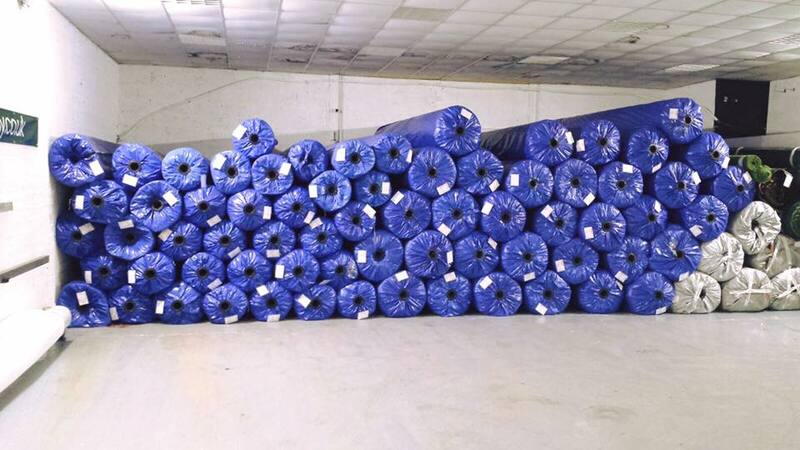 Our Newtownards warehouse holds the biggest stock of artificial grass in Ireland. Our artificial grass is available in a wide range of specifications and prices; suitable for landscapers, dog owners, families and for commercial and sports use. We are open to the trade and public. Contact our office on +44 (0)2891 826134 for full details, or visit our warehouse at 1 Glenford Way, Newtownards, BT23 4BX. Winter opening hours: Monday – Friday, 9.00am – 5.00pm.